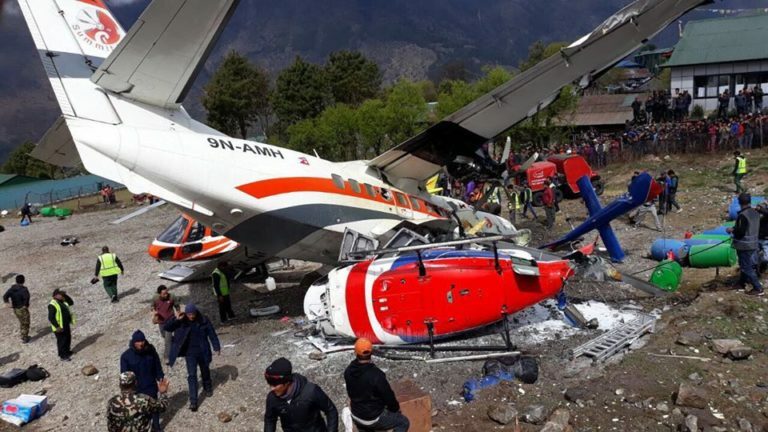 At least three persons were killed when a Summit Air aircraft skidded off the runway and hit a parked helicopter at Lukla Airport, Solukhumbu on Sunday morning. 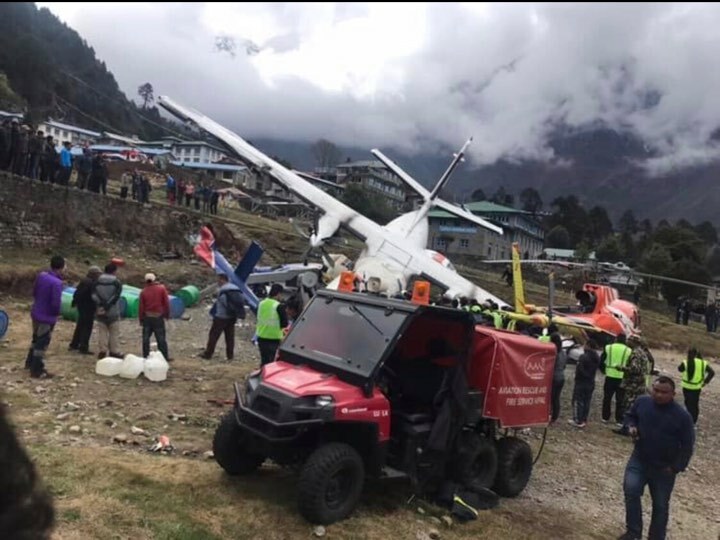 The deceased are co-pilot Sunil Dhungana and police personnel ASI Ram Bahadur Thapa and ASI Rudra Bahadur Shrestha, according to Lukla Airport In-charge Imnath Adhikari. 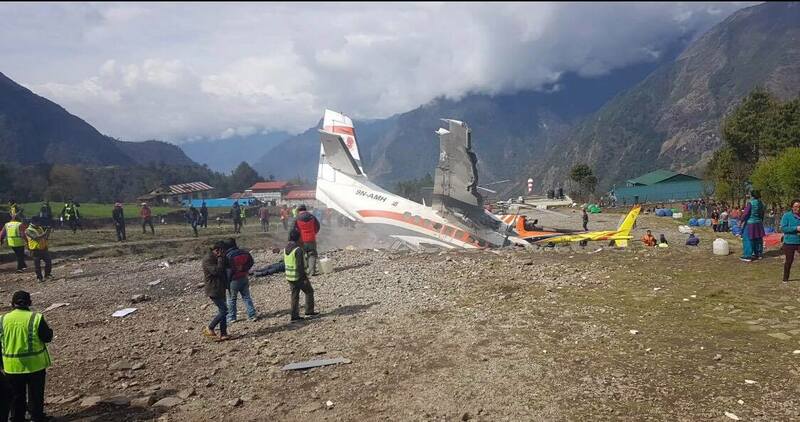 The aircraft with a call sign 9N-AMH collided with a parked chopper of Manang Air while taking-off at around 9:20 am. Jeet Bahadur Karki, an eye-witness, said the aircraft caught fire immediately after hitting the chopper. Details of the incident are awaited.